Buddhist Leaders of Korea-Japan-China pledged to join effort for world peace in Kobe, Japan while also consoling the victims of earthquake and typhoon in Japan. 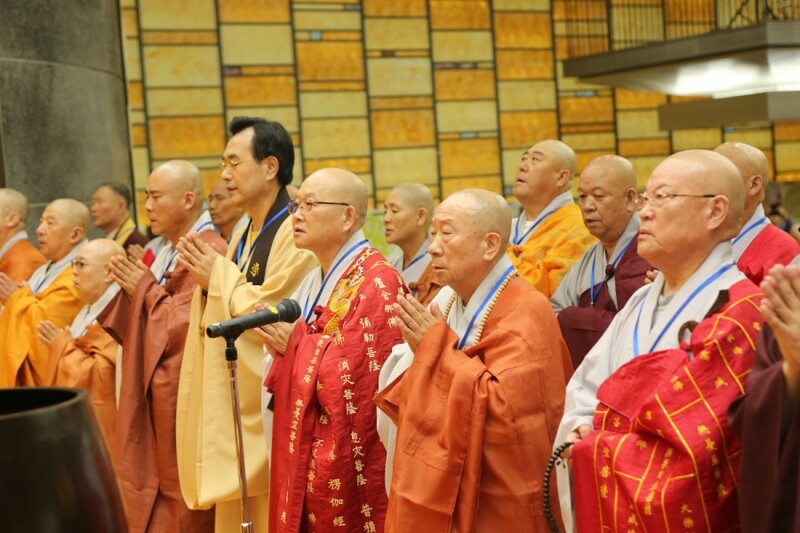 Association of Korean Buddhist Orders, Japan-Korea-China International Buddhist Exchange Council and Buddhist Association of China held the Dharma Assembly for World Peace as the main event for the Korea-Japan-China Buddhist Friendship Exchange Program in Kobe center of Rissho Kosei Kai. Around 90 Korean Buddhist monks including Vice President Ven. 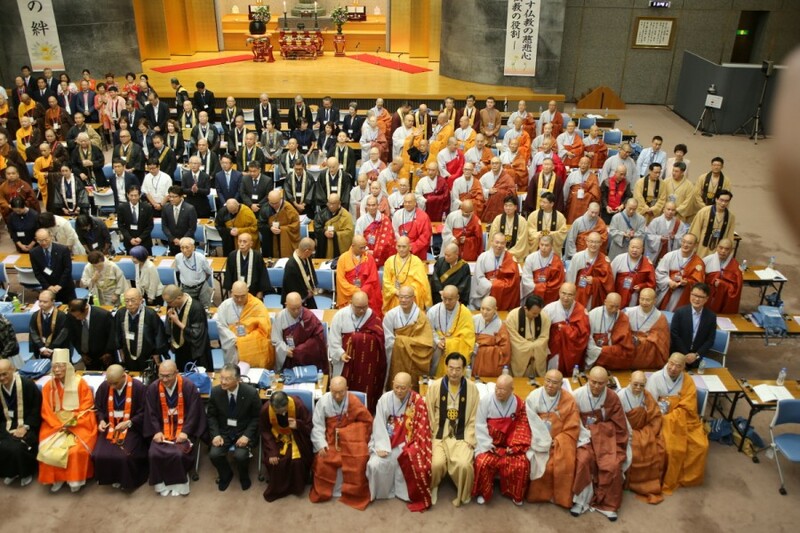 Mundeok (President of Cheontae Order) represented Association of Korean Buddhist Orders at the event while 100 Japanese monks and 100 Chinese monks also represented at the event their nationally affiliated associations. The Dharma Assembly for World Peace began with opening remarks from Ven. Yuishin Ito (伊藤 唯眞), the President of Japan-Korea-China International Buddhist Exchange Council. During his remarks, Ven. Ito stated, “I am grateful for respected monks from Korea, China and Japan for doing their best in promoting world peace and cooperation of the humanity, I would like to express gratitude for everyone who has come so far to attend this event. And then, there were traditional Buddhist rituals for three countries in the order of Japan, China and Korea. Korean Buddhist rituals were held in the order of Offering of Five Kinds of Incense with a Great Vow, Seven Heartfelt Homages, Shakyamuni Chanting, Prayer (Vice Pres. Ven. Hongpa) and Heart Sutra. After the ritual Ven. Mundeok read his message for world peace. Ven. Oh-in of Chungang Sangha University presented on “The role of the Three Buddhist Countries in Northeast Asia” while Ven. Woneung of Bulgyo Newspaper presented on “How to Realize Buddha’s Compassion Transcending State and Racial Boundaries” After the presentations the event in Japan closed with a dinner.